I enjoyed the book, but the back and forth points of view became tiresome. Ian's backstory is important to Bianca's but it was difficult to keep up with the timelines. Once the book caught up to present day, I was able to understand more about Ian's personality and why he did the things he did. Bianca's story is one of always trying to be the "perfect" daughter for hard to please parents. When she loses her best friend, her only friend, she decides to pick up where Renee left off and take six months and complete her friend's "bucket" list. During her adventure in New York, she runs into Ian and a "non-relationship" forms. As they begin to get to know each other, she begins to fall in love, but knows it can never be. She has to return to the very staid, very boring, very "perfect" life that her parents have planned for her. Or does she? Jamie Howard spends her days as a legal and compliance specialist. She holds a bachelor’s degree in Art from Ramapo College. When she’s not tapping away at the keyboard, you can find her devouring books and perfecting her gaming skills. She lives with her husband, son, and three dogs in New Jersey, and is almost always awake early enough to see the sun rise, even on the weekends. 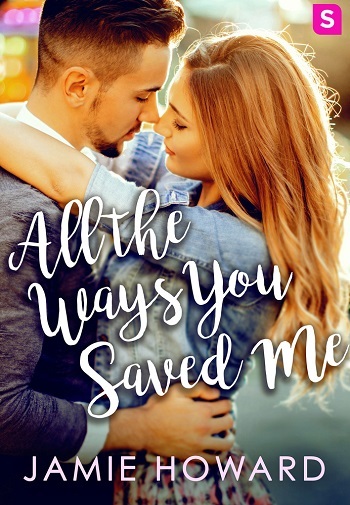 Reviewers on the Wicked Reads Review Team were provided a free copy of All the Ways You Saved Me (Love Unplugged #1) by Jamie Howard to read and review.